Carst again pleases us with dark collages. Album was created 3 years, strictly maintaining the concept and idea will trigger great emotion and excite your subconscious. Cosmic Irracionalism is a dark ambient album that certainly seems to have a strong sci-fi thread running through its design. Echoing guitar notes hum in soundscapes that seem to reflect sound from hard metal surfaces, giving many of the sounds and notes heard a pleasing metallic overtone. That’s what I got from Cosmic Irracionalism anyway, but reading the blurb above, I can see how watching the cosmos in a more nebulous way might create the same kind of impression. There were a number of tracks that I wanted to comment on individually, as they conjured some great mental pictures to mind, or at the least, made a lasting impression on me. The first of these just so happens to be the first track on the album: Signal. Signal is a track that repeatedly builds into peaks of screechy static and tortured strings. The track intersperses these peaks with more subdued spells of looming drone and smaller detail sounds. I must admit though that my favourite aspect of the track is that the electro-sounds seem to take on the aspect of wolf-like howls at one point. This might just be down to my own appreciation of wolves and the things that resonate with me, but it felt like a great way of adding another meaning to the track title of Signal. The next track that I wanted to mention is Acquire Through Awareness. This track starts off with the gentle sounds of what could be described as a colony of frogs coming to life, their calls becoming more numerous as time passes. This strange sound is then met with the metal of strings and what sounds like an echoing distorted response. As the track continues, things take on a higher tone and at times, more relaxed, with some components of the sound seeming to take on the aspect of female vocals softly singing. The final track that I wanted to write about individually is Mimicking The Magnetic Fields. A harsh sound becomes a gentle string with a rustling clattering heart-beat underneath. The sound of the track becomes more desolate over time, but not in an unrelenting way. There are some sounds that seem to be distant screams and doors banging, or at the other end of the scale, shimmering high notes and almost sacral chanting. A track that seems to have a lot going on that’s for sure. 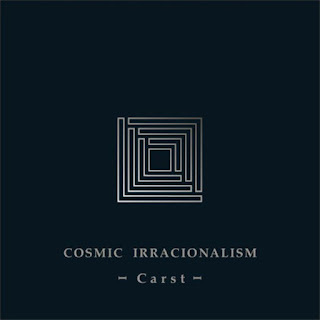 Cosmic Irracionalism is an interesting and nicely dark, dark ambient album. The sounds used and twisted into the soundscapes have enough variety and textural differences to keep the ear engrossed and the mind alert. 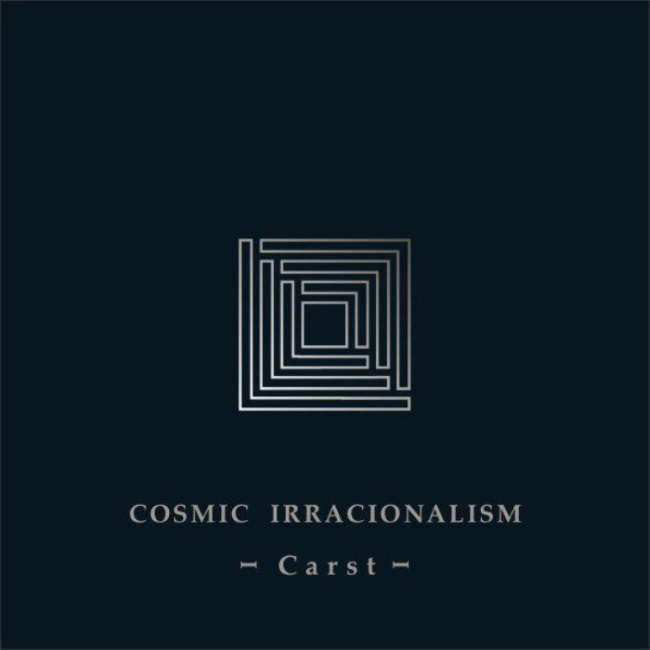 I give Cosmic Irracionalism 4/5 and would especially recommend it to anyone that might like space-based/sci-fi tinged dark ambient music. Check out Cosmic Irracionalism on bandcamp at this link.